Congratulations to Akard True Value Hardware! And THANK YOU for participating in this great community service event. In all, you helped Akard raise more than $500 for 11 area groups. Nice Job! 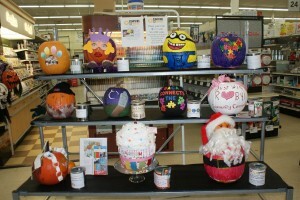 Akard True Value invited the public to decorate and submit a pumpkin to help promote a favorite cause. The pumpkins were on display for voting through Halloween. The pumpkin with the most votes was the winner.